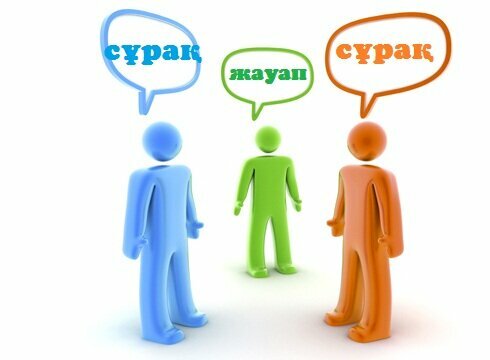 · Individual and group feedback by asking questions about history of Kazakhstan by using reported speech. ü They will be able to ask questions about history of Kazakhstan by using reported speech. — Working out: understanding the implication of the work and selecting material to suit it. Burial mounds of noble warriors scattered all throughout Kazakh steppes are known for the magnificent size both of the mounds and burial vaults proper. Particularly famous are such necropolis in the steppes of Sary-Arka and Tagiskent in the Trans-Aral area. People of that epoch were not only fine warriors, shepherds and farmers but also skilled metallurgists. They would take bronze and manufacture axes, knives, daggers and various decorations thereof. It was they who initiated the development of copper which is being practiced to this day — they are the Zhezkazgan and Sayak copper mines of today. Ancient people lived in large settlements and ancient towns surrounded with walls and towers. These towns were inhabited by warriors and craftsmen, priests and farmers. These tribes lived on the territory of Kazakhstan for about a thousand years — from the 17th century B.C. to 9th-8th centuries A.D.
Later on they were ousted by the Saks. Such was the name given to this tribe by ancient Persians. The Chinese called them»se» whereas Greeks chose to call them Scythians. They were essentially nomads, semi-nomads and farmers. Yet, first and foremost, they were excellent horsemen. In fact, Saks were the first ever horsemen in the world to master arrow-shooting at full speed. In the 5th-2nd centuries B.C., the Saks set up their first state with its center in the Zhetysu(Semirechje) in South-Eastern Kazakhstan. The kings of the Saks were at the same time high priests. Saks had a written language and a mythology of their own; they were known for their well developed art of world standard labeled in research papers as «animal-styled art». Respective subjects were represented by predators and herbivorous animals and the struggle there between. Sheer masterpieces made of gold and bronze serve as worthy exhibits in the best museums of the world. The linguistic situation was just as complicated. As is traditionally believed, in the course of the first millennium B.C., the population of Kazakhstan was mostly represented by native speakers of Indo-European and Indo-Iranian languages. However, of late, they are inclined to think that the tribes of the Bronze Age, particularly those of the Saks, included tribes that spoke proto-Turkic languages. In the Issyk burial mound which harbored the world-famous «Golden Man» they have found a silver bowl whose bottom bore an inscription consisting 26 characters. They have failed to read it to this day. Some think that the inscription is made in one of the Iranian languages, others insist on its proto-Turkic origin. In any case, this must be the very period that highlighted the formation of the state of mind and the language of medieval and modern Kazakhs, their physiological stereotypes, in fact, of many an element of their culture, everyday life and folk rites. The middle of the first millennium A.D. is a fairly important stage in the history of all Turks in general and Kazakhs in particular. The period is marked with manifest changes in ethnic media: predominant now become Turkic tribes which chose the Altai as their natural center. Written sources of the 6thcentury register the term «Tyurk» which is pronounced as «Tutszyue» by the Chinese and as «Turk» by the Sogdians. Archeological studies of Turkic monuments make it possible to somehow compare «these» Turks with certain Turkic tribal associations. In the Sayano-Altai region they have identified certain archeological cultures which might well be likened to early Kyrgyz, early Kypchaks or early Oguzes. In the course of not infrequent internecine wars, tribal discord, and struggles for power and pasture, a part of the Turkic tribes which inhabited the steppes and valleys of Kazakhstan moved southwards — to Central Asia (say, Tyurgeshes, Karluks, Kypchaks, Uzbeks, Oguz, and Turkmens-Seldzhuks), to Asia Minor, to the Caucasus (Turkmen and Seldzhuks), and to Eastern Europe (Kangars and Pechenegs, Kypchaks-and-Polovtsians, Torks-and-Oguz, black Klobuks and Karakalpakians). *After reading and recognizing the idea of the text they should prepare questions using reported speech individually and ask each other. · Individual and group feedback by completing sentences about Great Britain. ü They will be able to complete sentences about Great Britain. * They should try to answer the following questions, if they don’t have any idea they will be able to use the internet. *They should complete the following sentences. · Individual and group feedback. ü They will be able to work individually and in group. *They will have some time to think and write their ideas of improving English language. *Read the text for gist and speak according to the table.